Midfielder, Rupert Nongrum from Meghalaya is headed for world dominance in the game of football. A soft spoken Midfielder, Rupert Nongrum from Meghalaya is headed for world dominance in the game of football. Born in Malki, Meghalaya in 1996, Rupert Nongrum took his passion and love for football seriously at a young age. 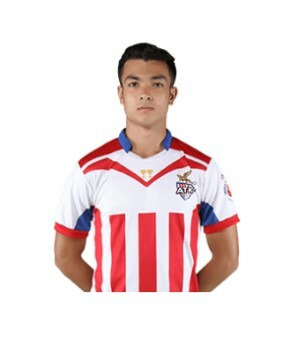 He enrolled at the Shillong Lajong Youth Academy in 2009 when he was just 13 years old. Rupert was part of the Shillong Lajong FC U-15 team that won the Manchester United Premier Cup in 2010. The team which comprised of young boys from the north east of India including Rupert, represented the country in the world finals held in Manchester to compete with the youth teams of some of the biggest clubs in the world. While with Lajong, he also participated in the Subroto Cup with Myngken Christian, his high school team. Rupert has proudly represented India in his blue jersey on many occasions. He was selected for the U-16 National team in 2010 as part of the Indian contingent that travelled to South Africa for Coca-Cola International Cup that reached the semi-finals. That same year, the Indian National team also picked him to participate in the Alliance Junior Football Camp which was organized by Bayern Munich in Germany. 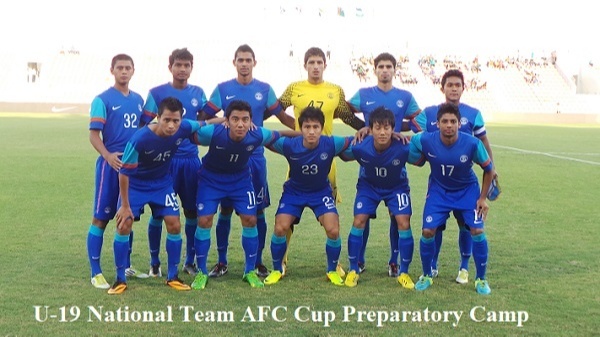 In 2013, Rupert was selected for the U-19 National Team AFC Cup Preparatory Camp which was held in Goa. He travelled with the team to China on an exposure trip in 2013 and played several matches with wwell-knownfootball clubs in China. Rupert then played for India in the AFC U-19 Championship Qualifiers which was held in Qatar in the same year. 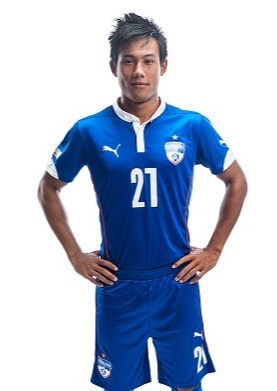 He made his debut for India against Uzbekistan by coming-on as a 46th-minute for Gurba Gagrai. With his innate talent, Rupert was eventually selected for the under-19 team where he played for the club in the I-League U19. After adept performances with the under-19 side, he was then promoted to the reserve side for Shillong Lajong that participated and won the Shillong Premier League. He scored a brace for Lajong in the game that clinched the title for his club against Langsning in November 2014. Rupert’s performance for the club in the Shillong Premier League earned him a promotion to the first-team. He made his senior debut for the club on 14th February 2015 in the I-League against Bengaluru FC. Sadly, he started the match but could not prevent Shillong Lajong losing 2–0. In 2016, the Delhi Dynamos played Rupert as a winger on loan from his club. Gianluca Zambrotta, former Italian wingback himself, was their head coach. It was not long before Rupert was felicitated for his winning performances. On 16th January 2016, he was awarded the Dalmia Cement Young Achievers Award for his contribution and achievement in the field of football in the state of Meghalaya. The Award was presented to him by their Brand Ambassador and Youth Icon, MC Mary Kom. On 21st January 2017, Rupert scored his first goal for Shillong Lajong against Minerva Punjab FC and won the match 2-1. And on 23rd July, he joined the Kolkata Club, Atlético de Kolkata (ATK). In keeping with his sincerity and dedication to the game, Rupert is also studying Arts at Shillong College. He enjoys playing table tennis in his moments of leisure. His family and friends provide him with their continual love and support pushing him forward in the right direction. At the pace he’s going, Rupert Nongrum looks poised to put India on the football map of the world in the near future.